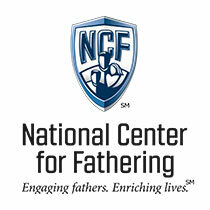 The National Center for Fathering provides some great ideas for keeping your children busy and productive during the summer. Now, please don’t jam your kids’ schedules with activities just to shut them up. Children do need free time—time to just hang out. But it’s also a good idea—on occasion—to do something. So, Dad, be well-prepared for those “I’m bored” comments. Come up with some fun, stimulating activities before the whining starts. Let’s brainstorm a little. Reading is always a good idea. But, the last thing you want to do is snap at your kid, “You’re bored? Go read a book!” Instead, dad, trick them into reading. Come down from the attic blowing the dust off one of your old favorite novels and refuse to let them see it until they beg you. Pick up an appropriate sports or hobby magazine on your way home from work and toss it to them from across the room. Drag them to the air-conditioned library and immerse yourself in a few good books of varying topics — that’s a great role model. Or grab two copies of a short but thought-provoking book and challenge your high schooler to read it with you—one chapter a day—discussing it along the way. Your local bookstore would also have ideas. Beyond books, why not suggest a new hobby? Maybe something sports related, or something that requires creativity, like painting, magic, origami, or jewelry making. Come home one day with an unusual gift like a unicycle or telescope. Give your child raw materials and ignite his imagination. Encourage them to volunteer somewhere in town: a nursing home, a homeless shelter, or a crisis pregnancy center. Or how about babysitting for free one day a week for a single mom? Dad, with your help, this summer, your children can have fun, be productive, and grow in wisdom and maturity. Oh, two more things. Make sure, you spend lots of time with them. And unplug that TV.